Congratulations to the pedal powered outlets at Schiphol Airport in Amsterdam which have just won this week’s Green Wings Award! In an age where devices reign supreme, but the power that they consume remains an environmental concern – it is a pleasure to see such an elegant solution. 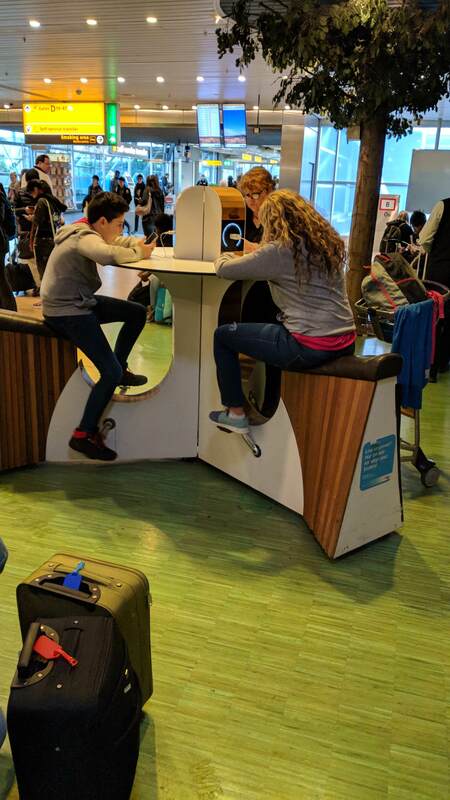 Not only do these pedal powered outlets provide clean energy for the devices that they are powering, they provide much needed exercise to a generation that has personal entertainment at its fingertips.